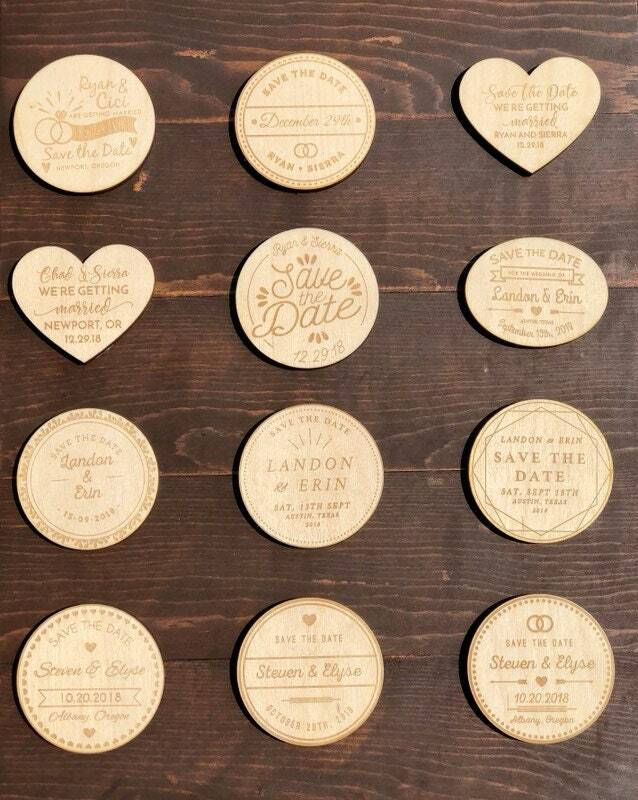 Both practical AND cute, our Save the Date magnets are the perfect touch to announce the big day to all your favorite people! 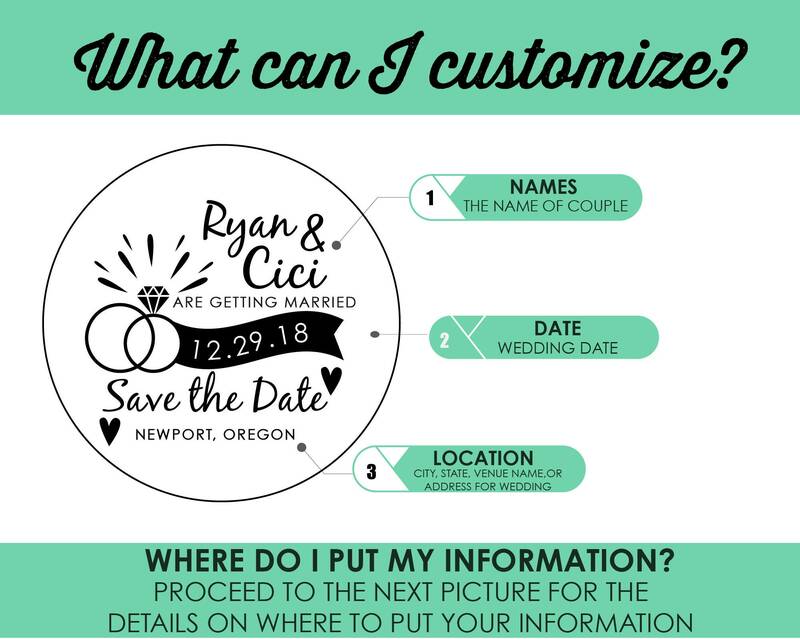 We offer 12 designs to choose from, and the design is customized with the information you provide us. Preview all twelve in the gallery of images above to pick your favorite! 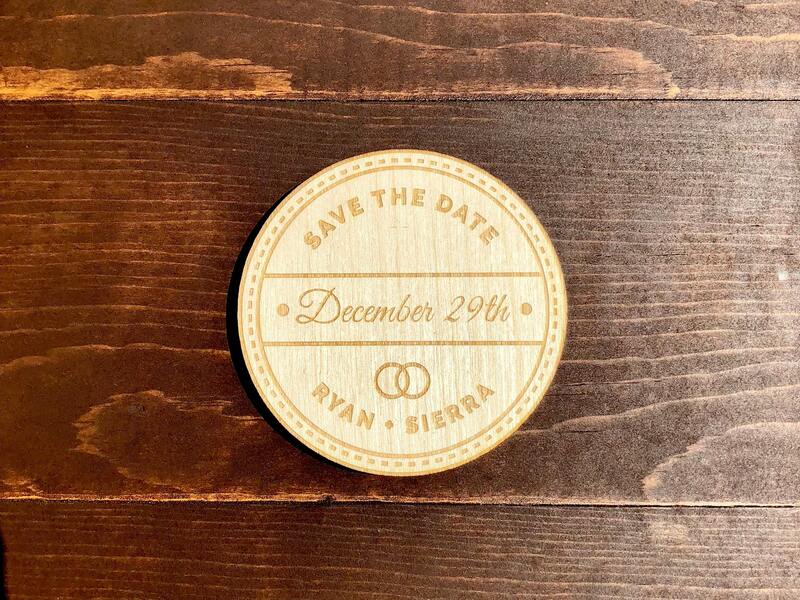 Our magnets are made from 1/8” birch wood and laser engraved in our home in Portland, OR. 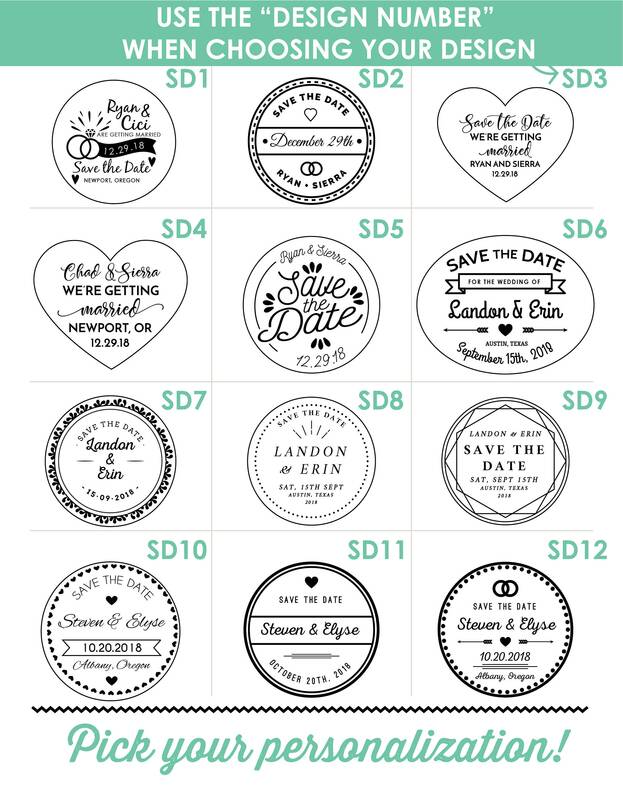 Size varies depending on design selected (circle = 2.75”, oval = 2.75” width, heart = 2.5” width). 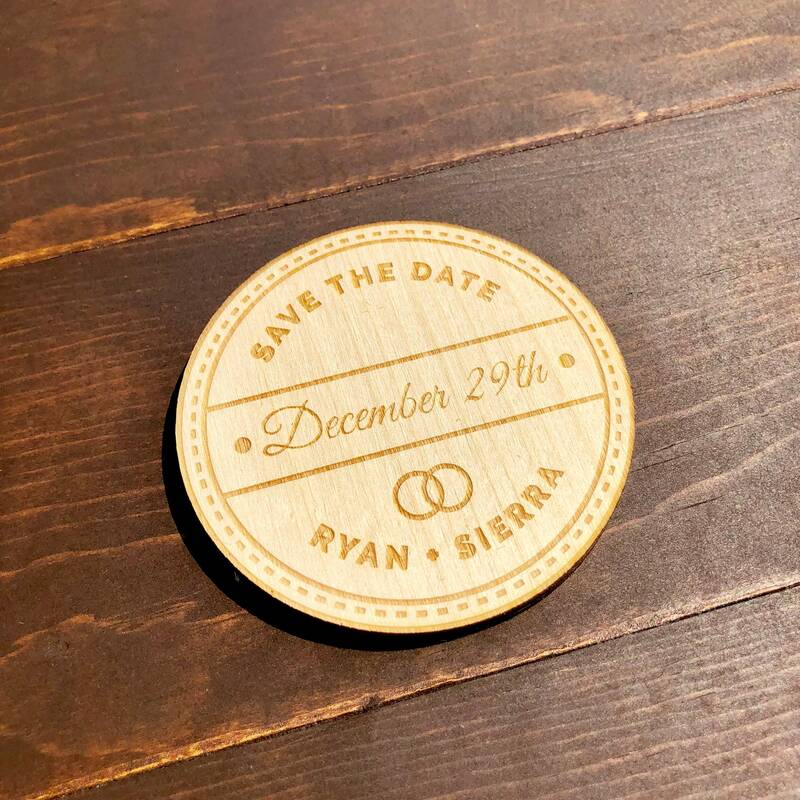 If you want the wood piece without the magnet, please select the "without magnet" option with the correlating design code. We will still include the magnet pieces in your package; they just wont be assembled. 1. SELECT YOUR DESIGN- From the drop down menu, select your design code. All design codes are found in the third photo in the gallery. 2. 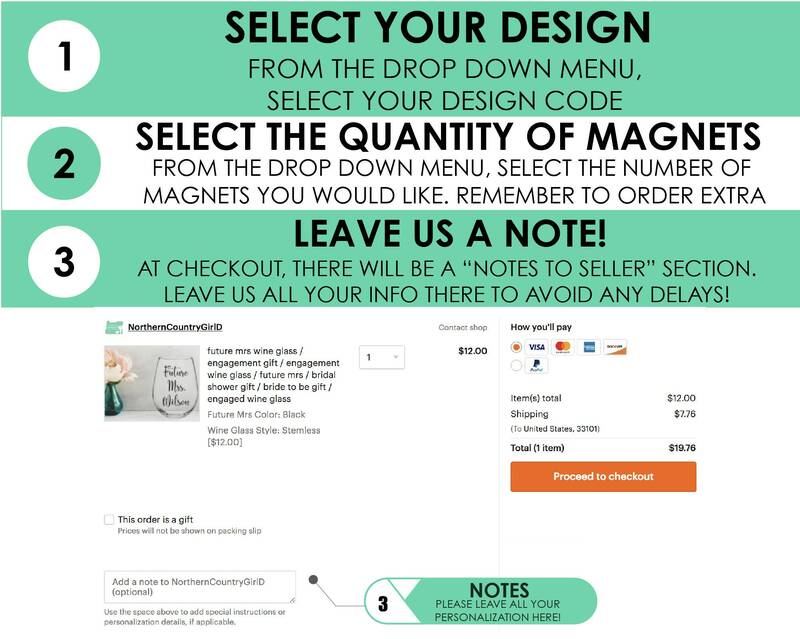 SELECT YOUR QUANTITY - From the drop down menu, select the number of magnets you would like to purchase. Don’t forget to order a couple extra, just in case! 3. LEAVE US A NOTE - At checkout, there will be a “NOTES TO SELLER” section. This is where you want to leave all your information. All items are shipped within 3-5 business days. 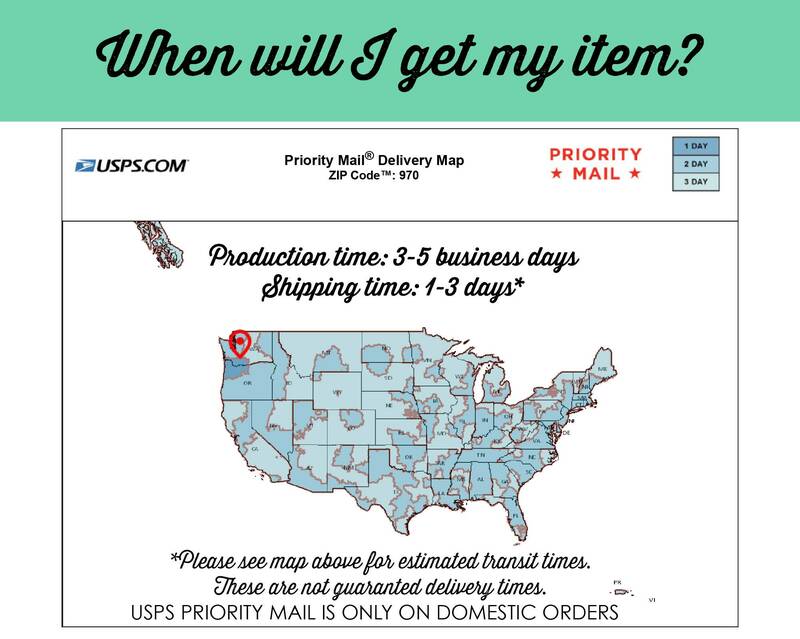 Shipping delivery times do vary based on where you are located. 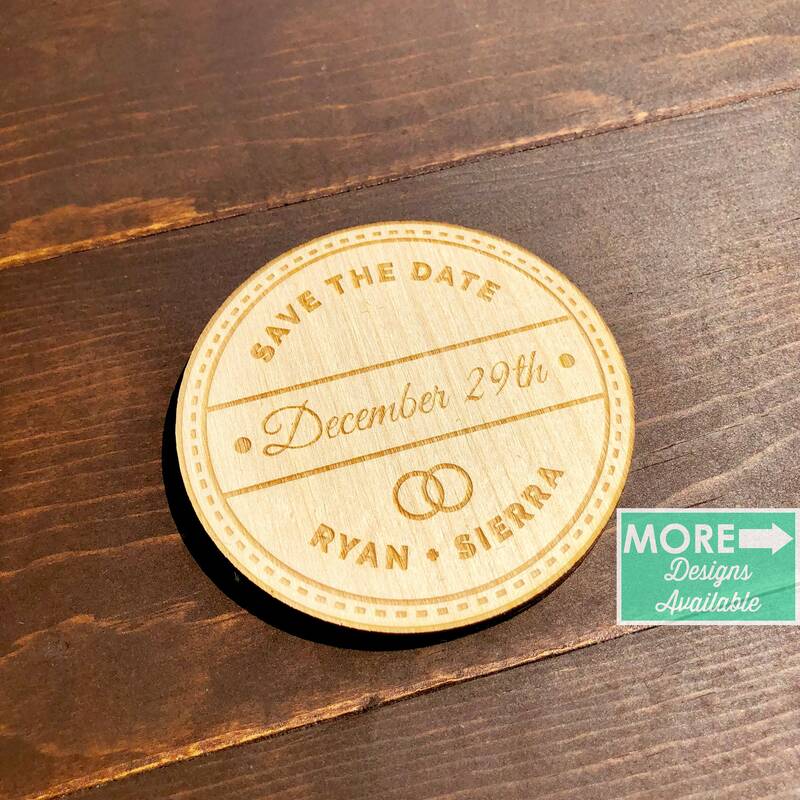 We ship all save the date magnets for a flat $5.00 fee. Please remember to order a couple extra, just in case! Because these are hand made, there may be slight, but not obvious, variations in the finished product from the photo in the listing. We do not attempt to cover or hide natural defects in the wood, as we feel that this enhances the finished product. Your finished product may have visible knots, wood grain, or other character elements.